News & Resources > Join the Alice Saddy AllStars! 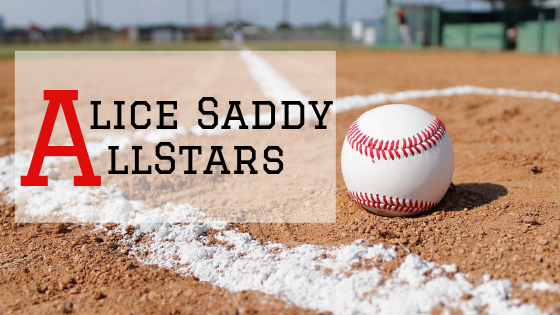 We’re looking for a few people to join the Alice Saddy AllStars baseball team as they play in the London Social Services Baseball League! You don’t have to be a professional ball player to join. We just ask that you represent Alice Saddy Association well by demonstrating good sportsmanship, being a team player, and most of all, by having fun! Starts Thursday May 16th. Ends Thursday, September 12th. Cost to join is only $30 per person which includes the cost to rent the ball diamonds, insurance, year-end tournament, catered banquet. Game jerseys are also provided. Email info@alicesaddy.com if you’re interested! Join the Alice Saddy AllStars!